...or why god, devil, soulreaper or whoever is in charge about life and death *REALLY* doesn't like me, at all. As if it was not enough to lose Robin Williams unexpectedly less than a year ago, no, now we also get punished with further deaths of people who did make an impact on our lives in one way or another. Walhalla for example). He did a lot of voice work in narrations, and was even dubbing his own voice into other languages such as German and French for certain movies. And he did a damn good job at it! In his later years he also appeared on a lot of albums of the Italian Symphonic Metal Band "Rhapsody (of Fire)" and even released his own (symphonic metal) albums about one of his ancestors, Emperor Charlemagne. 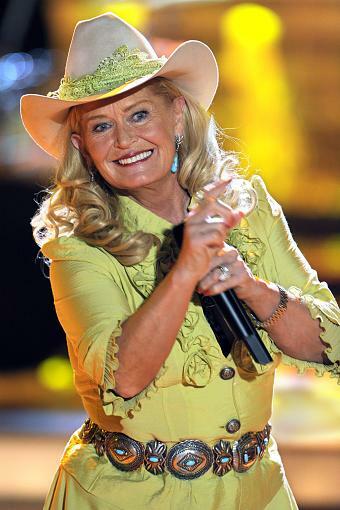 On July 30th, 2015, we lost Lynn Anderson, a country singer most famous for the song and album called "Rose Garden". Along with the sunshine there's gotta be a little rain some time." A *LOT* of rain followed just one day later. 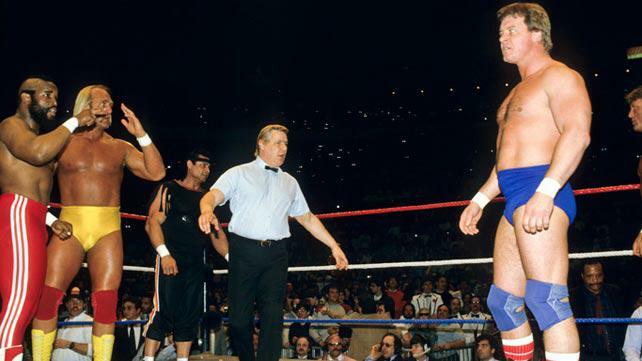 On July 31st, 2015, we lost Rowdy Roddy Piper (Roderick George Toombs). One of the greatest professional wrestlers in this world, who was also a GREAT person. It came as a huge shock to me, and his loss is the most devastating one for me since losing Johnny Cash in 2003, because without those 2 people, I would not know where I would be (or how I would be) now. He was the nicest person you could ever meet. Two years ago I met him at the "Movie Days" event in Germany where he sat longer than any of the other guests, patiently signing autographs, answering questions and posing for photos. And just being in the same event hall as he was, gave me a feeling of invincibility, safety, and happiness. 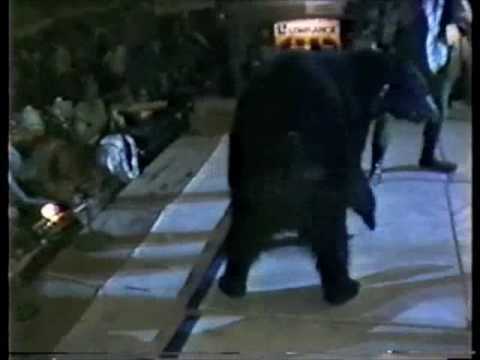 Aside from his Wrestling career, he also had his own podcast, appeared in a lot of movies ("They Live" being the most famous one), TV series, and he even did voice work for cartoons! 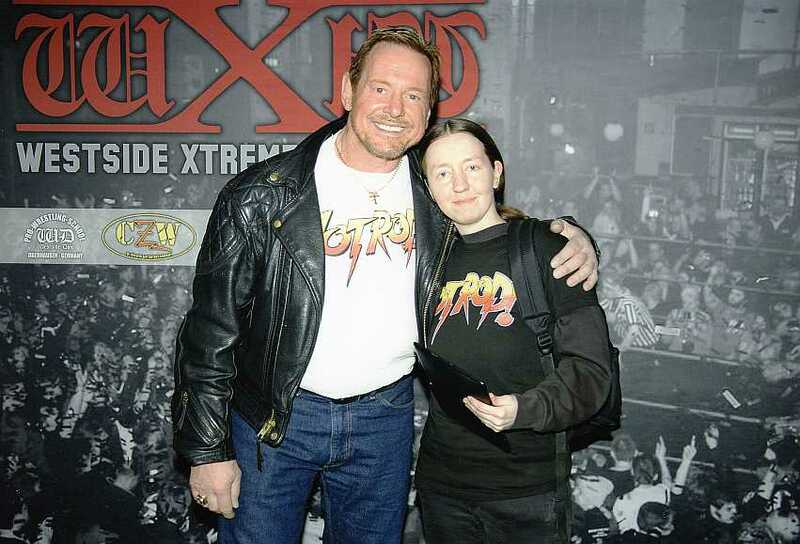 I will miss you forever, Roddy, you made the world a better place. I'm glad I was able to meet you 2 years ago! You've been my hero since I started watching wrestling at age 6! I love you! And even someone who was always on the opposite side of Roddy seems to miss him quite a lot!